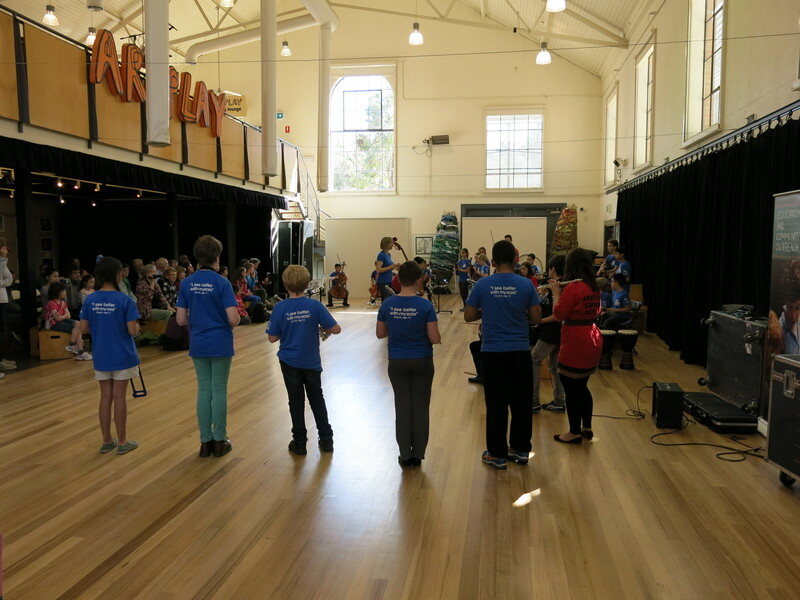 In the September school holidays, the 2013 MSO ArtPlay Ensemble got together for its final composition project for 2013. This time our focus was Beethoven’s 1st symphony, and we explored some of its rhythmic language, orchestrating this in a very 21st century way, given our Ensemble included electric guitar, drum kit and djembe, along with more usual orchestral instruments. This is part of the facilitator’s art – to think on one’s feet, and be ready to adapt and respond. Lately I’ve been reading about “complex adaptive systems”, and realising that the creative workshop process is a micro complex system of human interaction, response and constant adaptation. The alternative to this responsive adaptation is imposing a system – and this can work effectively too, of course! But it also entails an assertion of power, and therefore the potential for power struggle. It offers less room for creativity and shared ownership, which are foundational values in my work. That’s not to say I didn’t use some coercive tactics of my own, especially to get us through the rehearsing stage. Wandering attention needed to be brought back to task if we were going to be ready for the performance of our newly-composed piece by 3pm on the 2nd workshop day. 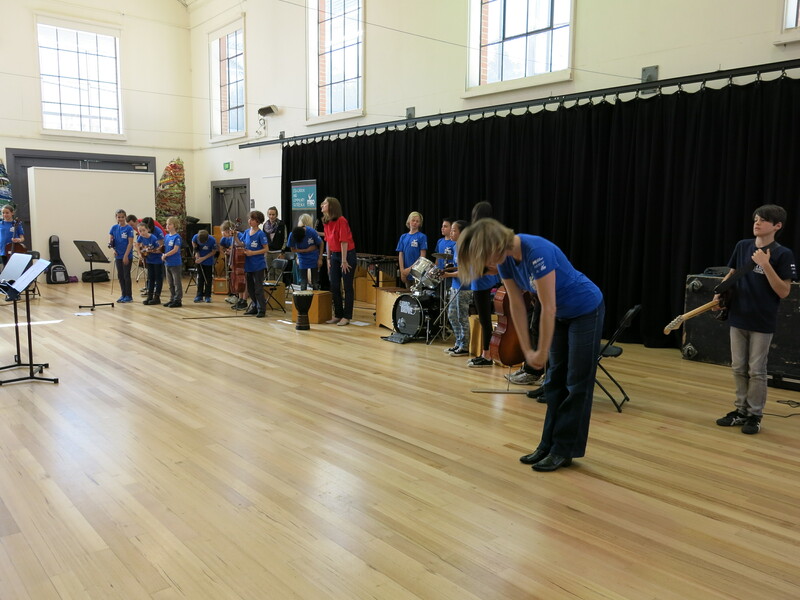 I loved the final piece – it has a confidence and upfront quality that felt very characteristic of this group. In the recording above you will hear some of Beethoven’s rhythmic motifs woven into a rock groove (opening movement), a minuet and trio in ternary form (and in miniature), and an extended rondo form. Sadly we were missing a couple of key members of the group for this final workshop, due to illness, but I think they were with us in spirit!